Xmax - The Mr Song interview and Recent News. Over the past few months I have been following up on XMax after been captivated by their project idea. I love entertainment, not all form of entertainments though but I love games. One other thing I have come to develop interest for in recent years is anything that has to do with blockchain. Blockchain topics, discussions and projects gets my interest and attention quicker than a served dish of my best food will. So you can imagine the level of excitement and joy I shown when I discovered a project combining entertainment and blockchain together to form a single product. Yea, you're right. I was glad. But however, during the study and follow up of XMax projects and token price I have noticed that there's been some sort of slow growth in token value lower than what I expected giving the general spike in value of games outside the crypto world. At first, I thought the slow rise in price was due to the general bearish market state that we have seen and are gradually getting used to since the beginning of the year 2018 but how I was wrong. 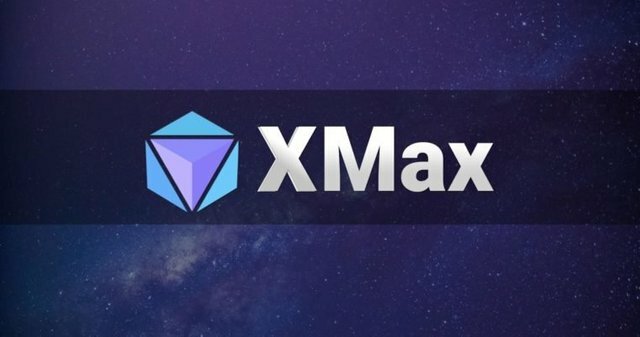 Although the general market state may also have a minor role to play in the situation but I recent article published by the XMax team has revealed that another reason that has also contributed to the struggle of the token price loss, which on another hand has cause a lot of xmax followed to be unhappy is because of the little amount of information about the XMax technical team that has been made public for the past few months. The technical team still appears to be a mystery to the XMax community. Well, this mysterious part of Xmax project is gradually been solved as Xmax team has decided to revealed more entails about their development team. They have decided to interview their development team and also show more internal workflow progressively. This is in view of promoting open communication between the team/project with their community and token holders. The first of such interview has already taken place and it was held with the team head Mr Song. Before I go into talking about what was said during the interview, I will quickly want to write a little about the Man Mr Song and his past duties. According to details of the interview article, it was revealed that Mr. Song some remarkable results from his past job. He worked at Sohu Changyou for four years were he led the team involved in the development of the weather and TimeOfDay systems for Mars Engine. He also optimized the efficiency of Changyou’s Fairy Game Engine, by modifying the underlying render, creating a multi-threaded renderer as well as the particle update system and this resulted to an increased efficiency by more than 50%. One more thing worth knowing about Mr Song is that he joined the newly-formed Webjet department, were he led the team into the development of a full-scale 3D game engine called Genesis 3D, independently. It's a delight reading about his past achievements, he is in no doubt fit for the position he is occupying on XMax. You can read more about Mr Song from the article link attached below. A lot were said during the interview ranging from his approach to solving programming problems, to the application as well has his mindset towards his team's happiness and pleasure. Talking about his approach to solving problems Mr Song said he loves breaking down challenges into parts, list out the goal(s) expected to be achieved by each part and then solve the parts one after the other. This is the approach with which the team is currently working to develop the game side-chains and solve the challenges one-by-one. He also mentioned that the first side-chain tested will be announced to the public soon and hoped that DApp developers can build demo applications using this side-chain structure. Another interesting approach of his that I love is that addressing the mentality and emotional state of his team. When asked the question, he responded by saying even though it's known that the life of a technical developer can be very monotonous,filled with Heavy development workloads and tight schedules that can have a negative impact on relationships and performance, he strives to make sure that he strike a balance between his team's performance mentality and emotional state by making sure that his team gets a good time for rest so that they can state connected with other area of their life. And interesting, he also try to ensure that they spend some time playing games cause not all problems can be solved by compiling codes. That's just interesting. To get the full story of the interview and other statements made by Mr. Song (宋琦) check out the official medium channel of the project https://medium.com/xmax-galaxy-network/the-head-of-xmaxs-r-d-team-mr-9c051b484f20. According to a recent tweet made by the XMax team, we are expecting the xmax token to be listed on coinrail with trades opened in few days time on Tuesday, August 28th precisely. The listing is expected to have just a single pair of XMAX/BTC for now. Hopefully, we will see more pairs in a short while. So what are you waiting for, get an account on coinrail now while we wait the Deal Day!